Definitive proof that the best things do (sometimes) come in smaller packages, Huda Beauty’s Obsessions Palettes are here – and they’re absolutely exquisite! 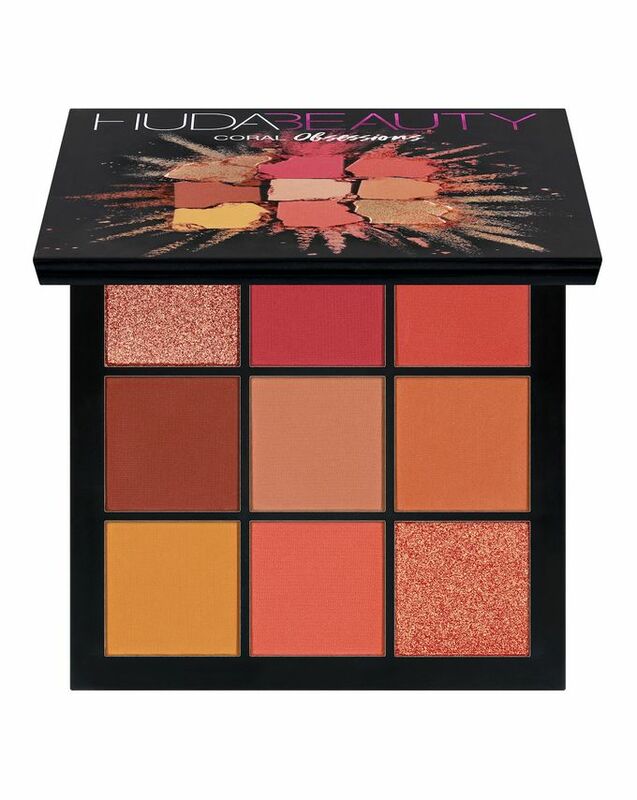 A dream come true for those Huda-holics who can’t squeeze their palettes into overstretched make up bags (or those yet to sample her game-changing shadows) this Coral Obsessions Palette unites a spectrum of nine pigment-packed powders with matte and foil-effect textures in a spectrum of burnt orange, saffron and rosy red shades for permanently on-trend lid looks. Love your Huda palette but can’t fit it in your make up bag? Or just desperate to sample the shadows that have sent the beauty world into a spin? The answer has arrived (at last!) 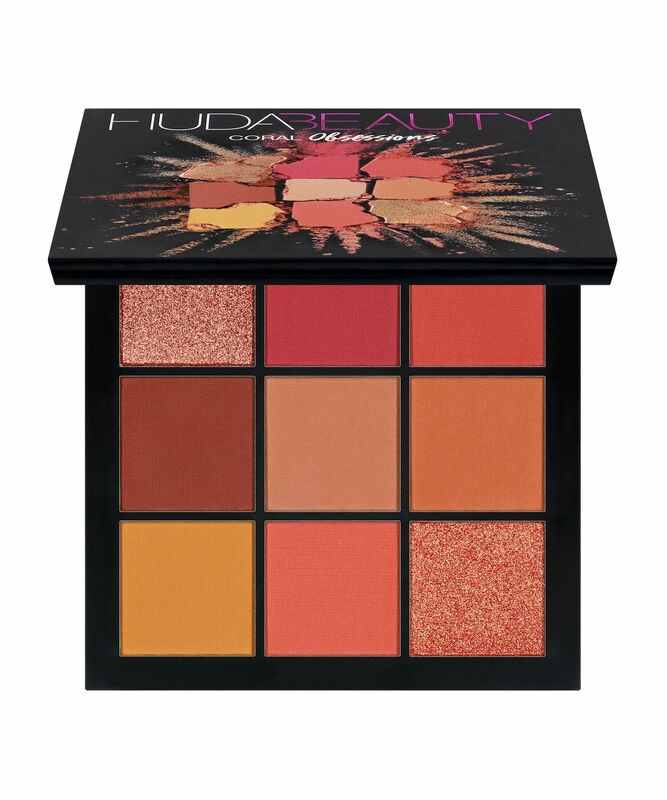 with Huda Beauty’s Coral Obsessions Palette, a slimline edit of the most sought-after orange, red and yellow-toned hues – all you need to achieve an array of on-trend coral eye looks. The ultimate capsule make up wardrobe, this unites nine ultra-versatile, buttery smooth shadows – two shimmering metallics surrounded by seven saturated mattes. 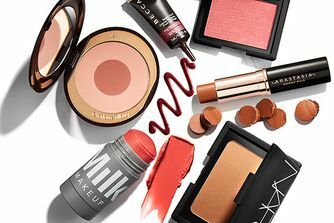 We’re completely besotted with the range of hues and you're guaranteed to fall head-over-heels too – especially with the beautifully burnished orange-copper tones, not to mention the rich rosy reds and stunning saffron hue. The palette is very small compared to how it’s advertised! The foils are stunning, very creamy and beautiful. However the matte shades aren’t very pigmented but love the colours. The quality of the product is very high end! It was smaller than it looked in the picture but the colours are so pretty. I absolutely love this palette, the colors are so beautiful and bright and you can create beautiful looks with this! I wish that the two shimmers would be just a little bit more pigmented and bright. The pigments + blend ability of these shadows is stunning. The shimmers are creamy and layer easily over the matte shades. What I love most about the "Obsessions" range is the fact that if you fancy a green/coral/brown/blue etc... look then you can just grab the palette + it has everything you need. Perfect for days when I'm feeling lazy and want to do my makeup quickly! I don't have any problem with fallout/kickback in any of my HUDA palettes. Highly recommend HUDA Beauty eye shadows if you want high quality products. This is such a summery palette, perfect for travelling and an excellent colour scheme. I think the formula is amazing and just as good as Huda's other palettes. If you're looking for a fun but wearable eye shadow palette then this is the one! I love Huda's bigger palettes both are amazing, but this is my 2nd Obsessions palette and the formula is different. The matte shades aren't that pigmented and blend away to nothing. Shimmer shades aren't bad. Save your money and invest in the bigger palettes. The colours, pigmentation and blending of this palette are pretty damn brilliant. I've been wearing them all day with no eyeshadow primer and the colours haven't moved or faded one bit. The only downside is the palette is literally tiny. Don't expect a normally sized palette from this. I guess the cost lead me to believe I would get an averagely sized palette, but I'd say this is no bigger than three inches. Fantastic colours, but seriously overpriced. I bought this palette days ago and the shades are beautiful, the thing is the pigment is no the best you need to apply more and more to show the colours, just the 2 shimmers are amazing but the matte shades mmm not the best. Blends good, but has a bit of fall out as well. For the price, I think is not worth it. The quality is not there as the famous palettes of Huda. Bought this product as a Christmas present for my sister. She absolutely loves it and thinks the shadows are highly pigmented. An incredible palette! I have always loved Huda Beauty palettes, but this is a personal favourite of mine; it blends perfectly and the pigmentation is stunning. Very pigmented especially the shimmers!! Smaller than I expected but worth it!!!! There also is a bit of fallout but it’s not that much. I have been eyeing this palette for a long time and I finally decided to buy it and it was totally worth it. Love the pigmentation of both matte and shimmers. I even got my mum hooked on it. This palette has terrible pigmentation, I have the other Obsessions palettes and absolutely love them and was really looking forward to using these shades however I was left very disappointed. The shades are nothing like what they look like in the palette once swatched, they come out much lighter. Matte shadows were so dry. Did not blend whatsoever. Apart from one or two all the mattes were so disappointing. The only plus about this palettes were foils- very creamy and beautiful. But deffo not worth buying the palette just for two colours. Avoid. This palette has such pretty coral shades and it's very pigmented. I think the formula on the mattes is even better than the mauve obsessions palette as they are a little less powdery. 10/10 would recommend, so cute and fun for summer! This is my 3rd Huda palette and it's not the best of them. The mattes are ok, they blend easily, but it's needed another palette for some looks so that your eyeshadows don't end up looking the same. The shimmery shade from the last row creased on me like crazy, and I never have that problem, especially because I use glitter primer for shimmery shades. I'll recommend it only if you are like me, I did not have these colours in my collection (I love cool tones and buy mostly those types of colours) and I wanted something different and small and not that expensive. The two shimmer shades are so pigmented when swatched, looks amazing!